We're DB Steel Buildings; a privately held family owned and operated steel building company. 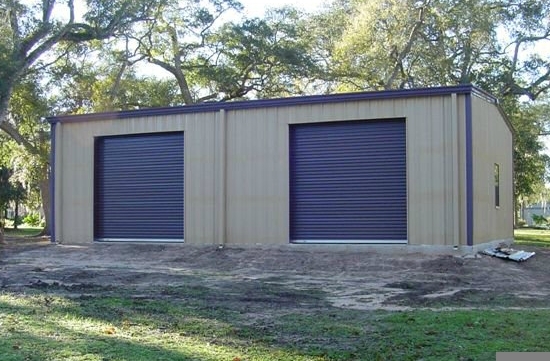 We specialize in the design of pre-engineered steel buildings. Our Engineers, Designers, and Estimators are dedicated to being the best in the steel building industry. We strive for complete success, from beginning to end. Let us introduce you to a new train of thought in the steel building industry. A. We custom design your metal building to suit your unique needs. B. Your metal building is manufactured with only top quality materials. C. It will be delivered to you in a timely manner. Getting a great price doesn't mean a lack of quality. Our steel buildings are manufactured to the highest industry standards. Our steel building design, detailing and engineering staff guarantees your new steel building will be produced accurately and cost effectively. Our design staff has the flexibility and control to customize to your special needs or requirements. How are we able to provide quality steel buildings at such a low prices? Simple. From the ease of configuring and pricing your steel building system, through final delivery, we will work with you to deliver the right product on time and within budget. We share a company-wide dedication to provide you with complete customer service and satisfaction. We have built our business on repeat customers and your complete satisfaction is our goal. All of our metal buildings are designed to meet the highest standards of quality and engineered to meet or exceed your local building code. Why build with metal and/or steel? Metal Building construction projects are typically more cost effective than conventional construction methods. One of the many advantages in erecting a pre-fabricated steel building system is the time saved. As compared to conventional construction methods, a steel building system can reduce normal construction times by up to 50% or more. Metal building components are very resistant to any weather conditions, and are virtually maintenance free. Steel buildings can be designed to accommodate almost any size requirement and are the preferred construction method of most contractors. Steel buildings are used for common applications such as warehousing, agricultural buildings, storage buildings, airplane hangars, automotive repair shops, equestrian centers, horse barns, shopping centers, grocery stores, distribution facilities, churches and many other building types. You don't have to look very far to see we are above board. We are proud members of the Better Business Bureau and are Dunn & Bradstreet Rated with exemplary records of service to our customers and suppliers alike. Our goal is to serve you with the utmost level of pride and integrity. Our staff of metal building professionals will treat you with the respect you deserve. DB Steel Buildings is and always will be the number one choice for pre-engineered steel buildings. 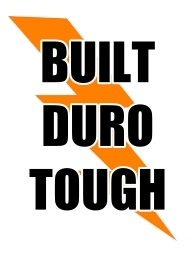 Your hard earned money will go a lot further with a new DB Steel Building. Our low prices are not the only reason to buy from us, our "erector friendly" buildings come standard with deluxe metal trim packages. We make buying a building easier. No waiting for weeks on end for approval drawings. We expedite all building plans upon order confirmation. You benefit from our many years of experience in design, sales execution, customer and field support. We provide you with the necessary tools to quickly complete the purchasing process. You will know and understand every step of the procedure from the initial order to receiving and erecting your new steel building. If you want a 300' wide by 500' long by 30' tall metal building, fully insulated with all the options. no problem. Need an odd dimension? Do you have an existing slab that has FOOT & INCH Dimensions? - NO PROBLEM. You can design a 35.7' wide by 89.9' by 27.3 tall. NO PROBLEM. NO Limits on size variations... why don't the other guys offer that? Simple. they can't. Utilizing the latest in design and engineering technology, our fabrication techniques enable us to produce superior products at cost effective prices. We continue to introduce innovative design and ideas at regular intervals and develop new concepts to maintain a leading edge in the industry. Our buildings come standard with a 25-year panel warranty and limited lifetime warranty on non-exposed primary and secondary framing members. We use only long life fasteners for all sheeting and trim applications. All structural framing is red-oxide coated. Galvanized framing is available at an additional cost. Manufacturers warranty on all components and accessories available upon request. You're at the right place. We can turn most rush projects around in 2 to 3 weeks.